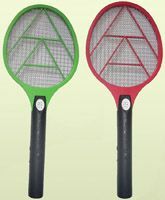 The highlight of today’s game was the ‘electronic mosquito trap’. I have shocked around 15 of them (don’t know their gender), and say them go up in smoke. That was the only excitement I got today. The key takeaway from the game was the 50%+ empty stadium. The first game….in the champions place…and people don’t show up. And the rest 40% crowd which come half of them may be having passes or entourage from the sponsors. Is IPL going to be a success? I hope so… it is a different concept and brings players together, but I wish other leagues also get going and monopoly of the holy board ends. Back to the game… finally saw Richard Levi in action. He has some clean hits and can go a long way. My call, swing balling will give him problem. MI, team looked as if it has depth and CSK looked dependent on Rania factor. SRT got injured and some balls did jump from Bollinger, he can be a handful as Sharmaji balls felt going to ground ;). Congrats Mumbai, congrats Anu Malik…wish more page 3 crowd was there. One smashing face was present in the crowd it went away soon… did anyone catch her. She was dusky :). Will help on killing boring time…..grrrrrrrr! Hope KKR looses tomorrow….. what hope…. they will loose tomorrow. Go Delhi, Sada Delhi!